This recall involves about 3,300 products. The painted wood rattle is approximately 6 inches long and has a yellow ball at each end, two U-shaped pieces (red and pale blue) and an orange bead in the center with a green center post connecting all pieces. The moving parts make noise when they come together. Baby and gift and specialty stores nationwide and online at ManhattanToy.com from March 2011 through July 2011 for about $12. 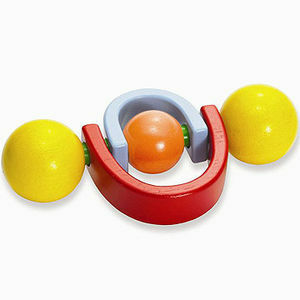 Immediately take the rattles away from children and return them to the store where purchased to receive a full refund. Contact the company toll-free at 800-541-1345 or visit manhattantoy.com.